Tropical Cycolone Cilida has intensified and the country’s local Meteorological Office has issued a class 2 cyclone warning as of 1610 hours today. The cyclone is expected to track dangerously close to the island of Mauritius this weekend and may intensify over warm waters of the southwestern Indian Ocean as it churns east of northern Madagascar through the end of the week. As of Friday evening, local time, Cilida intensified to a very intense tropical cyclone with sustained winds of 250 km/h (155 mph). Winds of this speed are equivalent to a Category 5 major hurricane in the Atlantic or eastern Pacific oceans. As the storm strengthens, rain and wind will increase around its center. While these dangers did not affect land through Friday, seas continued to build in response to the approaching storm. Seas will be dangerous for boaters across the southwestern Indian Ocean due to swells from Cilida and those propagating away from weakening Tropical Cyclone Kenanga, which is churning to the east of Cilida. Rough surf and rip currents will endanger swimmers along the northeastern coast of Madagascar, Réunion, Mauritius and Rodrigues even through the weekend with the nearby cyclones. The pounding seas may also flood some coastal communities. Further strengthening for Cilida is possible this weekend, and its peak intensity may approach or equal that of a Category 5 hurricane. During this time is when Cilida will likely track just north and east of Mauritius. Remaining away of the eye path, Mauritius will miss out on the most destructive winds and dangerous flooding. 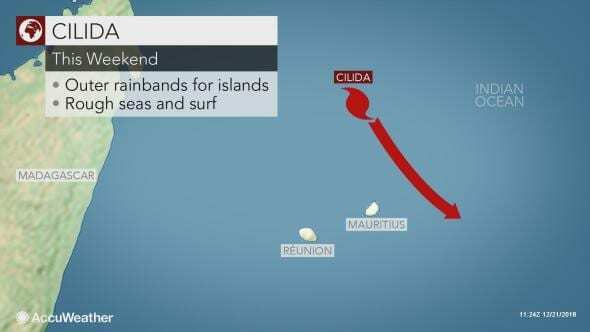 Cilida is anticipated to track in between Mauritius and Rodrigues on Sunday, with the heaviest rain and strongest winds remaining offshore. These islands, as well as Réunion, would still be buffeted by the storm’s outer rainbands and gusty winds. The heaviest rain bands may trigger localized flash flooding and mudslides in the higher terrain. Travelers may face delays. 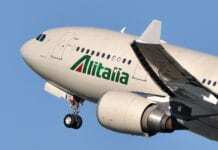 At the time of this report, all ground and flight operations are continuing to operate normally. Residents and visitors on Mauritius are urged to closely monitor the storm’s progress and heed the advice of local officials. Chinese tourists: A boom for Canada… or not? Chinese tourists: A boom for Canada... or not?